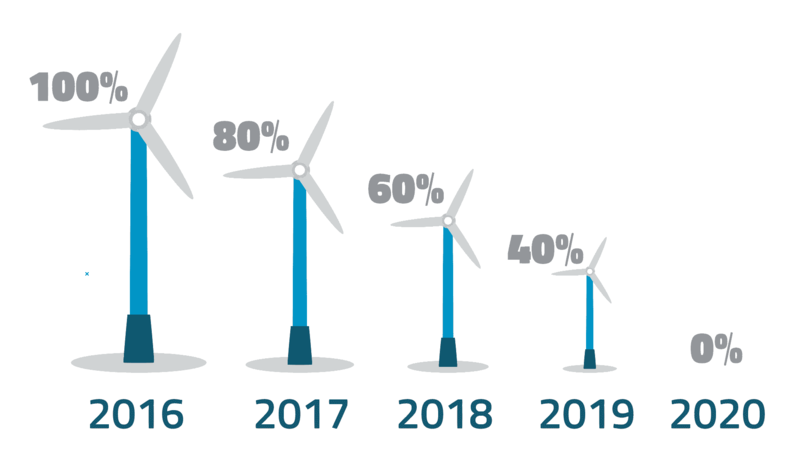 The U.S. wind energy industry has grown significantly over the past decade thanks to federal and state support, along with technology advancements improving costs and performance. The federal production tax credit (PTC) has left the greatest impact on the industry. However, the PTC expires in 2019 narrowing the window for new projects as the industry prepares for a slowdown. Other challenges, such as attempts to redefine PURPA terms and assess the impact of wind farms on tourism, along with slow growth in electric demand, make the outlook on wind less certain. Arizona's Energy Modernization Plan would set a goal 3,000 MW of energy storage by 2030, the most ambitious in the nation. The plan seeks to address peak demand challenges and provide system backup and stability through large-scale storage. 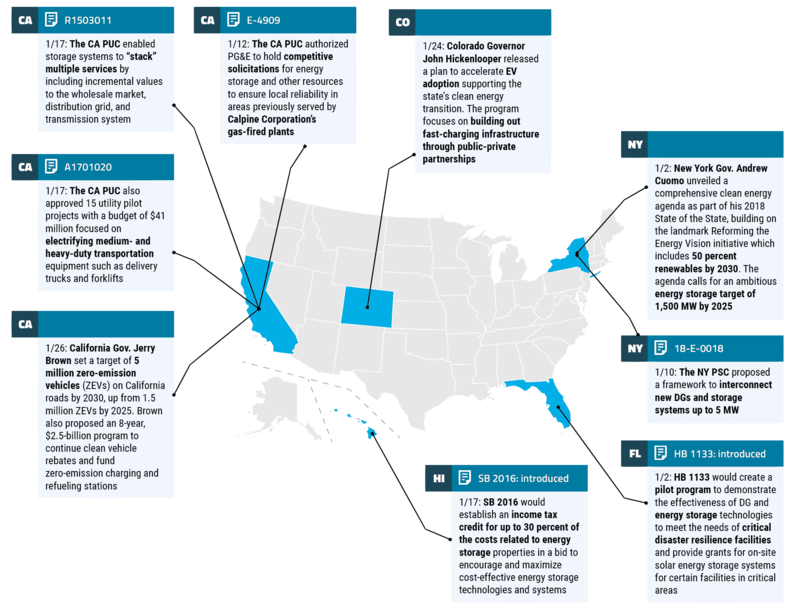 Declining costs combined with a growing recognition of the multiple benefits of storage have led more states to consider storage in their energy planning and regulation. Moving forward, the future of storage will depend on creating rates and markets that capture the full value of storage and improving grid connection practices. The Massachusetts Department of Public Utilities has approved a performance-based ratemaking (PBR) mechanism for Eversource Energy to balance infrastructure funding with avoiding rate case expenses and rate redesign that create uncertainty for consumers. PBRs adjust utility revenues based on their measurable performance, and they have been gaining popularity nationwide as grid technology keeps evolving. PJM Interconnection has unveiled its capacity repricing proposal aimed at accommodating subsidized resources while preserving price integrity in the capacity market. 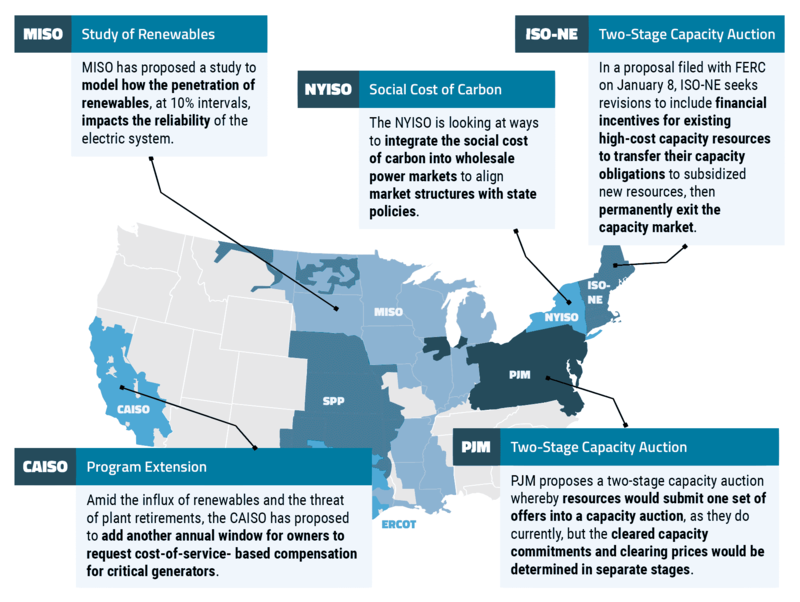 The grid operator said its proposal would meet state goals, unlike an alternative plan that would extend the minimum offer price rule to both new and existing resources (MOPR-Ex), in effect cancelling out the state subsidies. 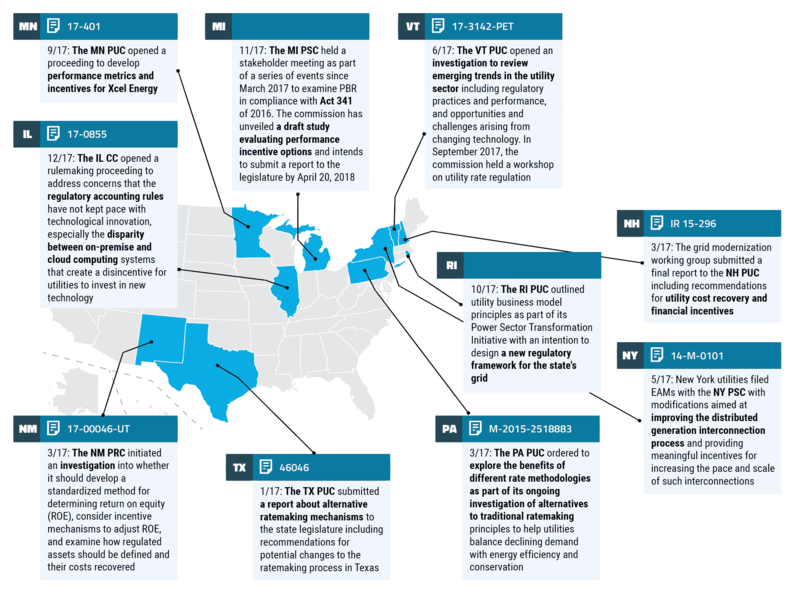 The move echoes a national trend towards reforming competitive electricity markets to ease tensions between their resource adequacy constructs and state policies.